Zucchini can be a bakers’s secret ingredient. 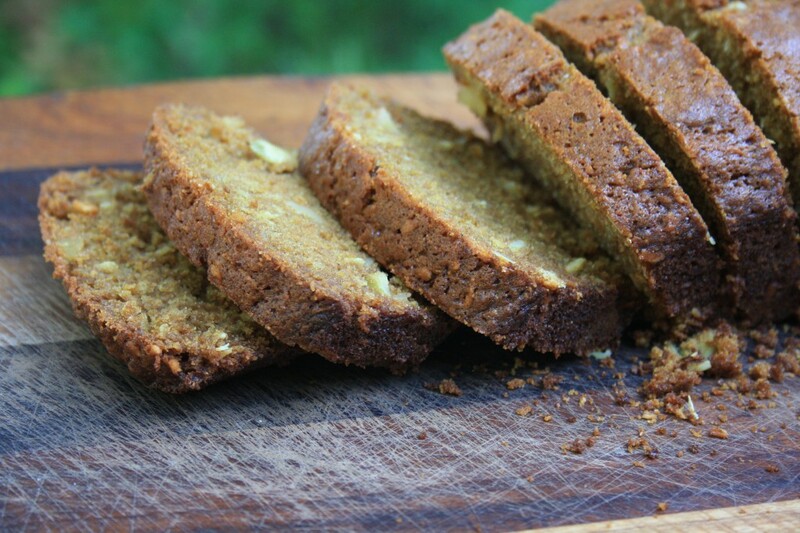 Mild in flavour and easy to shred, zucchini adds moisture and texture to many of my favourite summer baked goods. 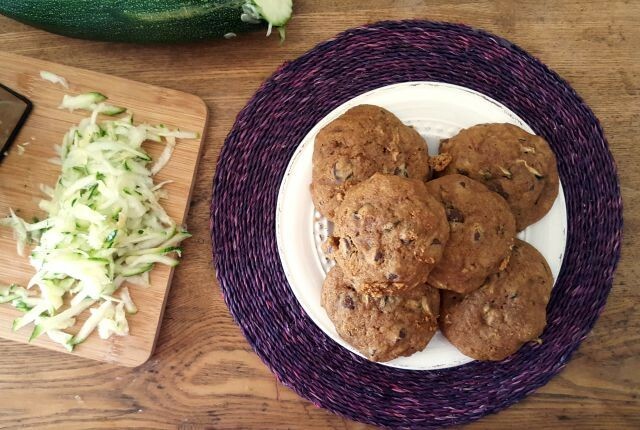 In these four favourite zucchini recipes you’ll see how this plentiful summer vegetable can help to make simple, wholesome baked goods extra satisfying and almost decadent. 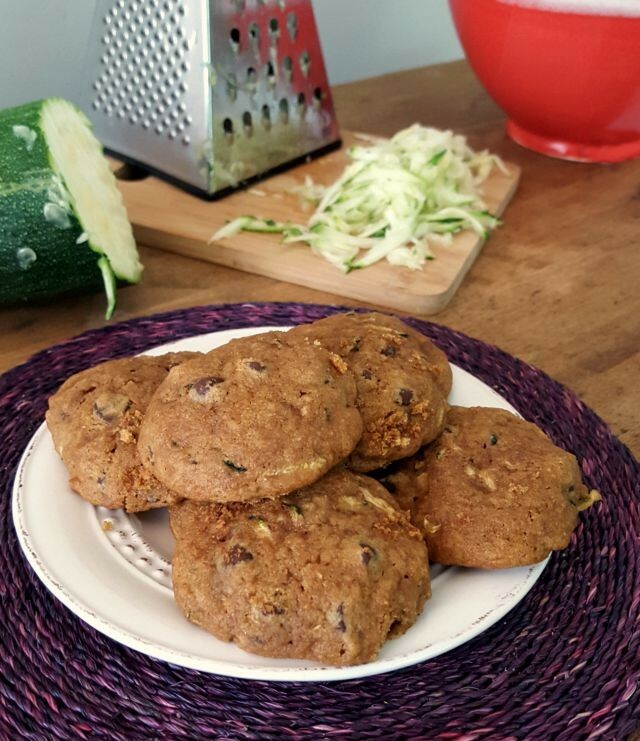 I grow zucchini in my garden but my harvest is rarely bountiful. 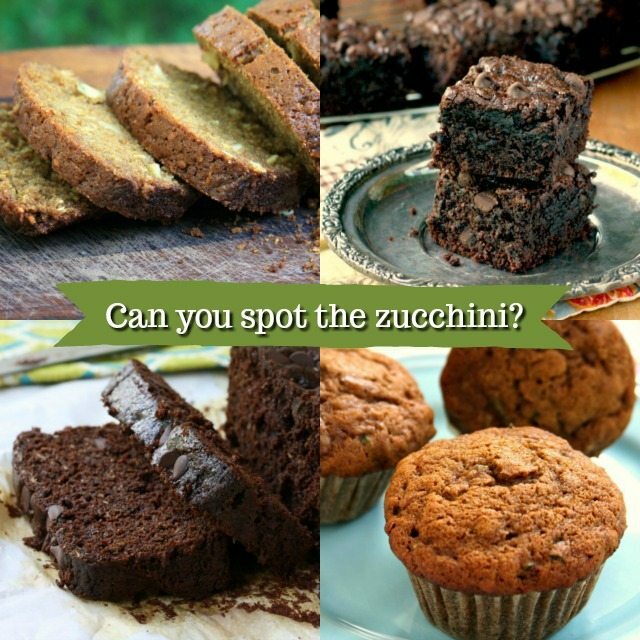 But as you know, there are always people willing to share their zucchini harvest. We have had a very dry summer in New Brunswick so the zucchinis aren’t overflowing at the markets yet, but they will be soon. 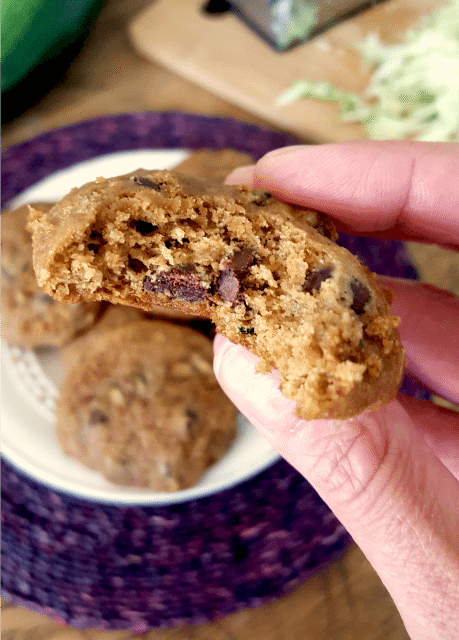 I’m getting ready to stock up and get a few of these lunch box snacks in the freezer. 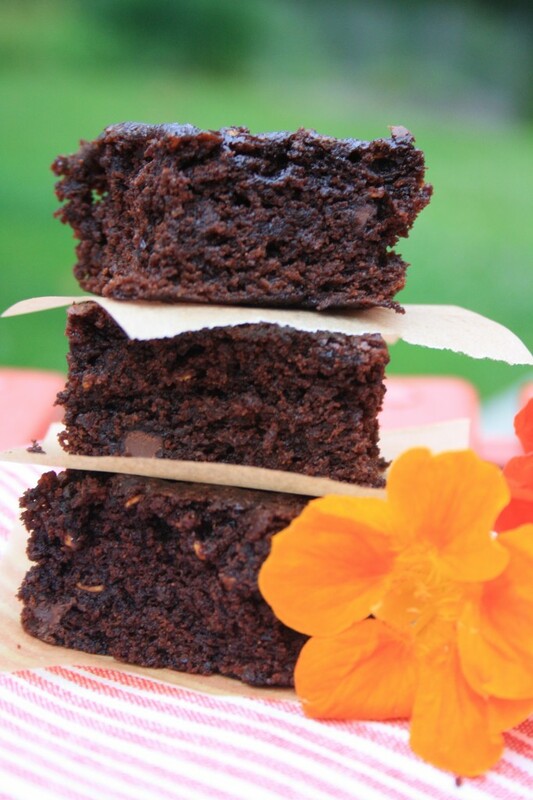 Two of these recipes are refined sugar-free, sweetened only with molasses and honey or maple syrup (see the recipes for zucchini muffins and double chocolate zucchini bread). 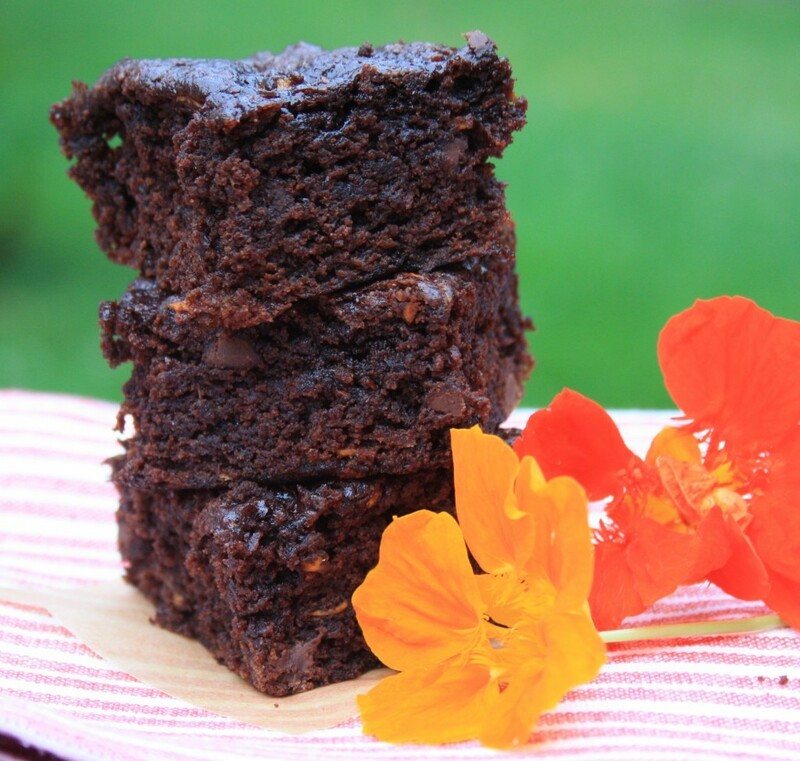 Zucchini gives these moist and decadent brownies a healthy twist. 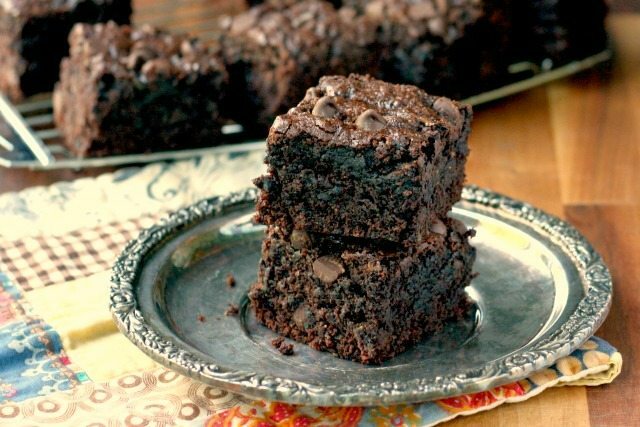 They’re fudgy, flavourful and are just over 100 calories each for a generous portion (if you’re counting). 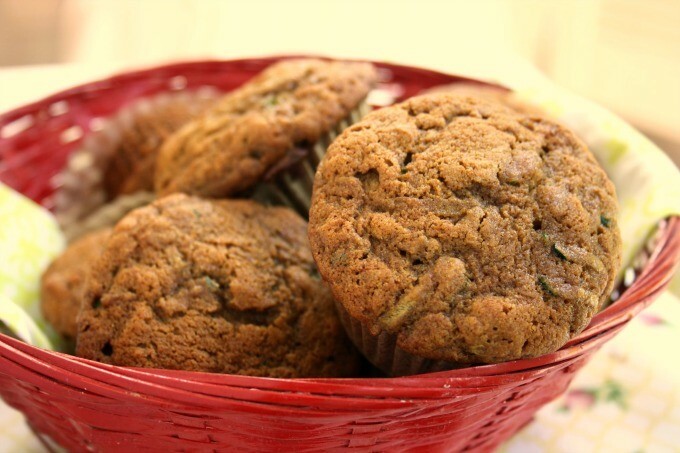 These zucchini muffins are refined-sugar-free, sweetened only with honey and molasses. 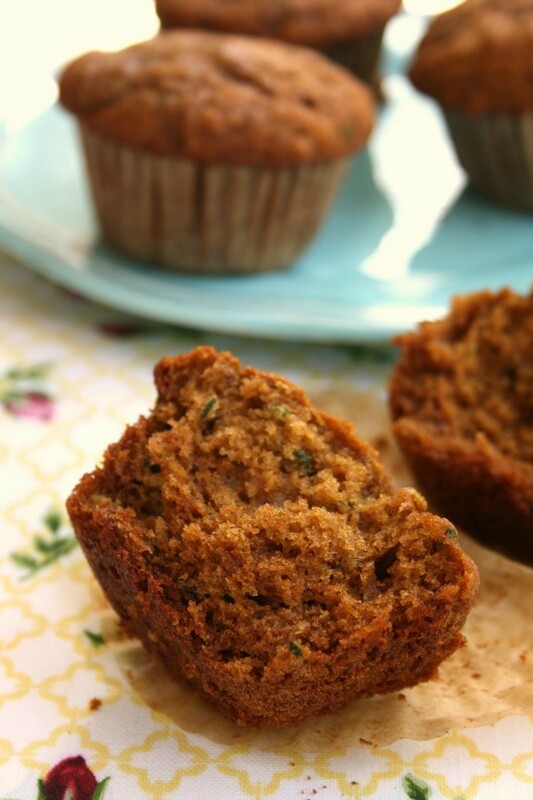 They have the greatest texture thanks to the oil (instead of butter) and they’re moist and beautifully spiced. 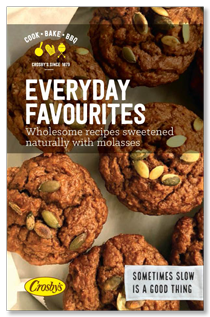 The molasses-honey pairing is brilliant.  Great for texture and flavour balance. This recipe is more like an old fashioned zucchini bread. 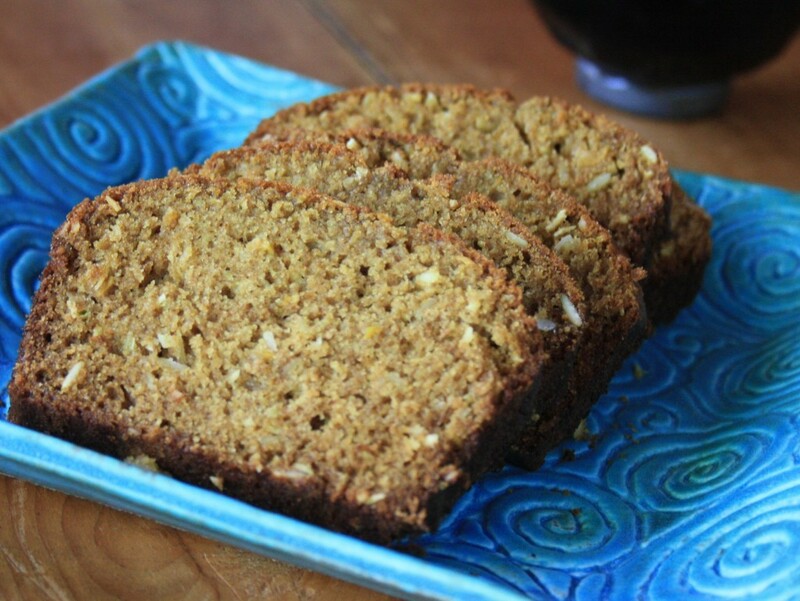 It’s on the sweeter side, nicely spiced and the recipe makes two loaves. 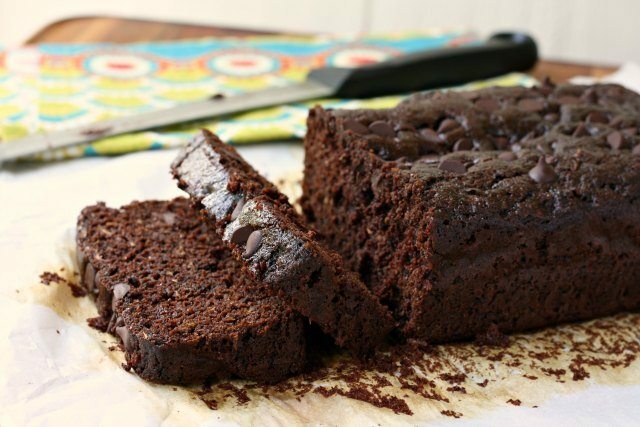 Who needs chocolate cake when you have double chocolate zucchini bread. 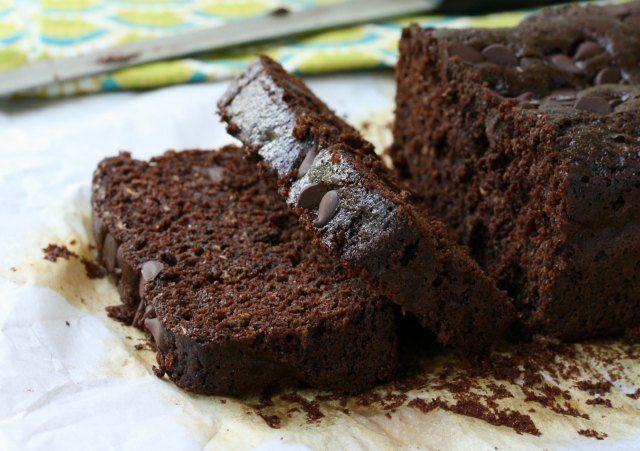 Seriously, this is a moist and decadent bread that is refined sugar-free.